I went to public schools there through the eleventh grade. For grade twelve I attended Lincoln School in the city. At this stage Kruskal was not thinking about a future academic career. Rather he saw his future in business, almost certainly in the family firm of Kruskal & Kruskal. He therefore chose to attend Antioch College in Ohio since they offered courses in which periods at the College alternated with work experience with a firm. He entered the College in 1936 but he found his mathematics courses unsatisfactory as they did not deal with foundational questions which worried him. 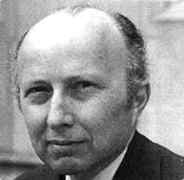 Trying to find answers to foundational problems led him to read work by Quine and, once he realised that Quine taught at Harvard, Kruskal tried to change to complete his degree there. He entered Harvard in 1938, taking a joint programme in mathematics and philosophy so he could attend the courses he found most attractive. After graduating from Harvard with an S.B. in 1940, Kruskal remained there for a further year to take a Master's Degree in mathematics. With it looking increasingly likely that the United States would enter World War II, Kruskal then decided to take a job at the U.S. Naval Proving Ground in Dahlgren, Virginia, in 1941. There he worked on aviation ordinance as a civilian and it was through the work undertaken at the Proving Ground that he became interested in statistics. Kruskal married Norma Jane Evans on 23 August 1942; they had three sons Vincent, Thomas, and Jody. Norma and William decided that his working conditions would be better if he took a US Navy commission, which he did. He then went to work for Alston Householder on anti-aircraft fire control. In 1946 he left the US Navy and went to New York to begin work in the family firm of Kruskal & Kruskal. He published his first paper Helmert's distribution in the American Mathematical Monthly in the year he left the Navy, being work which he done while at the Naval Proving Ground. In addition to working for the family form, he also began taking courses at Columbia University, obtaining permission from Abraham Wald to take courses for which he did not have the necessary prerequisites. He attended courses by Ted Anderson, Jacob Wolfowitz, Abraham Wald and later by Henry Scheffé and Howard Levene. In 1948 he left Kruskal & Kruskal to become a full-time student at Columbia. He began working towards his doctorate with Henry Scheffé as his advisor but left to take up a position in Chicago in 1950 before completing the research for his thesis. [The Kruskal-Wallis] test is found today under that name as part of every major statistical computation system. The ... test was able to examine a set of data from several groups of subjects and test for potential differences among the groups. The test had the great advantage of simplicity, in that it depended only upon the rank order of the observations, not upon their exact values. In 1954, prior to the era of modern high speed computers, the present authors published the first of a series of four landmark papers on measures of association for cross classifications. By describing each of several cross classifications using one or more interpretable measures, they aimed to guide other investigators in the use of sensible data summaries. Because of their clarity of exposition, and their thoughtful statistical approach to such a complex problem, the guidance in this paper is as useful and important today as it was on its publication 25 years ago. ... This series of papers evolved over a twenty-year period. The first and core paper appeared in 1954. It suggests criteria for judging measures of association and introduces several new measures with specific contextual meanings. Examples and illustrations abound. The 1959 paper serves as a supplement to the initial one and provides additional historical and bibliographic material. The 1963 paper derives large-sample standard errors for the sample analogues of population measures of association and presents some numerical results about the adequacy of large-sample normal approximations. The 1972 paper presents a new look at the asymptotics, and provides a more unified way to derive large-sample variances for those measures of association that can be expressed as ratios of functions of the cell probabilities. Thus the techniques can be used for tried and true measures, and also for ones not yet invented. Kruskal spent a year as a visiting professor at the University of California, Berkeley. There he taught a new course which resulted in his paper Ordinal measures of association (1958). Some of his later publications include When are Gauss-Markov and least squares estimators identical? A coordinate-free approach (1968), The geometry of generalized inverses (1975), and Miracles and statistics: the casual assumption of independence (1988). He was named the Ernest DeWitt Burton Distinguished Service Professor in Statistics at Chicago in 1973, a position he held until he retired and was made Professor Emeritus in 1990. During his time on the Faculty at Chicago he served as chairman of the Department of Statistics from 1966 to 1973, then as Dean of the Social Sciences Division from 1974 to 1984. He was also Dean of the Irving B Harris Graduate School of Public Policy Studies from 1988 to 1989. We had a year's life, which was precious little because we had to gear up, get a staff, and then there had to be time at the end for publication. We published a two-volume report that on the whole was reasonably good. On of its recommendations was that, just because the life of this commission was so short compared to what you needed to study issues properly, there should be a more nearly permanent group formed. The recommendation was followed up and Kruskal subsequently became the first chairman of the National Research Council's Committee on National Statistics, a position he held from 1971 to 1978. He was interested in everything, and so he read everything that crossed his desk, all kinds of periodicals, and he sent copies to everybody that he thought might be interested. Kruskal was elected a fellow of the Institute of Mathematical Statistics, the American Statistical Association, the American Association for the Advancement of Science, and the American Academy of Arts and Sciences. He was president of the Institute of Mathematical Statistics in 1971, and of the American Statistical Association in 1982. He died of pneumonia at Bernard Mitchell Hospital in Chicago.